Picture it: Stevie Wonder, Green Day, The Killers, The Lumineers, The Chainsmokers, Pharrell Williams, and Dr. Jane all hanging out…no, standing up. The stage is theirs (and ours and YOURS) at Global Citizens Festival 2017…to stand up for freedom, for justice, for all. 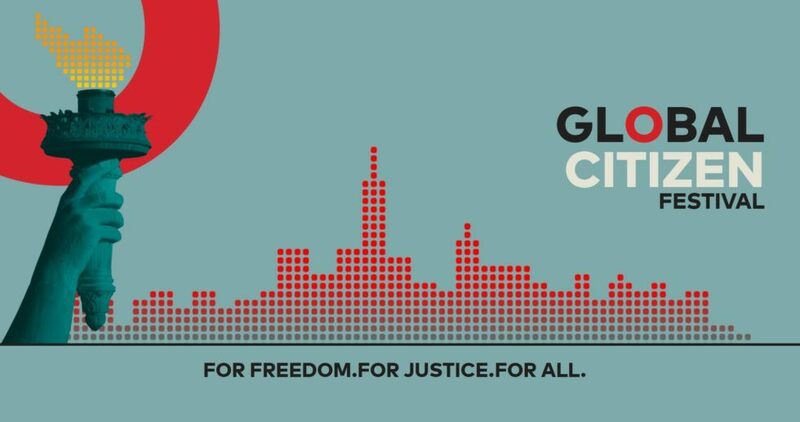 Global Citizen Week kicked off on Sunday, September 17 which marked the start of a weeklong celebration of advocacy, action, and justice culminating in the Global Citizens Festival in Central Park on Saturday, September 23. All week long, young activists participated in events ranging from musical performances and meditation sessions to conferences and panels…all with the goal of showing how the power of an individual can make a difference in the fight to end extreme poverty. Global citizens have an impact on ending extreme poverty through the actions they take. The effects of small actions are not always obvious, but by working together specific and tangible outcomes are achieved. Global citizens’ voices influence world leaders and decision makers, and contribute to shaping our world. On stage at the Global Citizens Festival and everywhere else she goes, Dr. Jane’s message is clear: what you do makes a difference and you have to decide what kind of difference you want to make. Social media can be a powerful tool to connect us and create change. Answer Dr. Jane’s call to action! 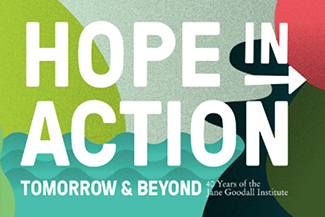 Pledge to do something for people, animals, or the environment and share your pledge on social media with the hashtag #HopeinAction. We are powerful together. Make a difference in 30 minutes or less. Join your peers for a 1-click campaign. Join the movement. Make a commitment. Sign up for Roots & Shoots. RAISE YOUR VOICE! Join Roots & Shoots Communities on Facebook to share, inquire, and inspire. Identify 3 projects to improve your community: one for people, one for animals, and one for the environment. Then, tell others around the world about your work. The Global Citizen Festival is an example of hundreds of thousands of young people, adults, celebrities, and world leaders coming together to stand up for what’s important to them. These are the great numbers and powerful voices that represent the “roots” and “shoots” that Dr. Jane says can break through all of the problems our world is facing and make this a better world. Dr. Jane is a global citizen. Roots & Shootsers are global citizens. YOU are a global citizen and everything you do makes a difference. Next Article Tchimpounga’s Chimpanzee of the Month: Binda!